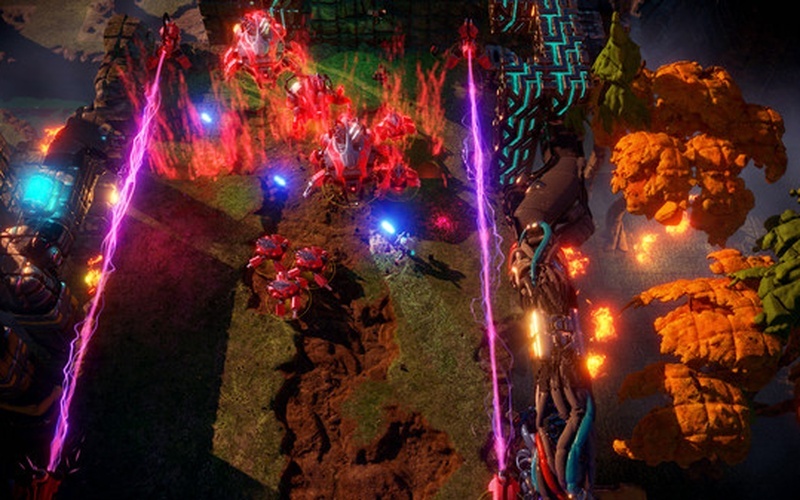 Take the fight to the machine in Nex Machina! 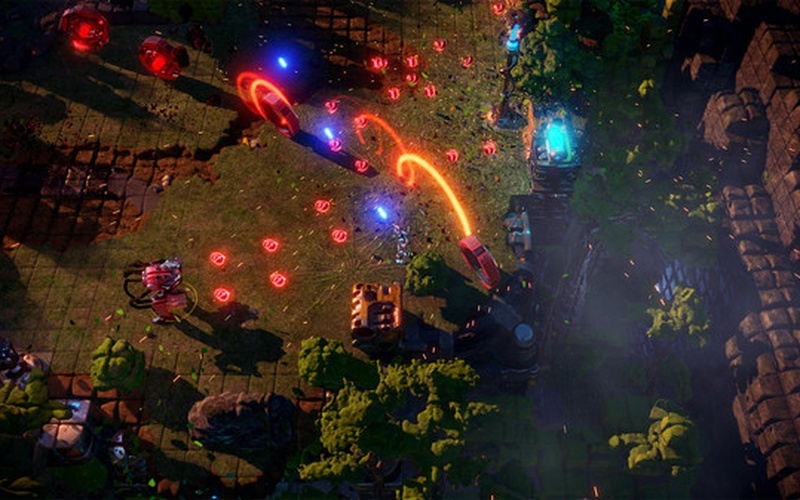 Nex Machina boasts a high-octane twin-stick shooter, courtesy of Housemarque. 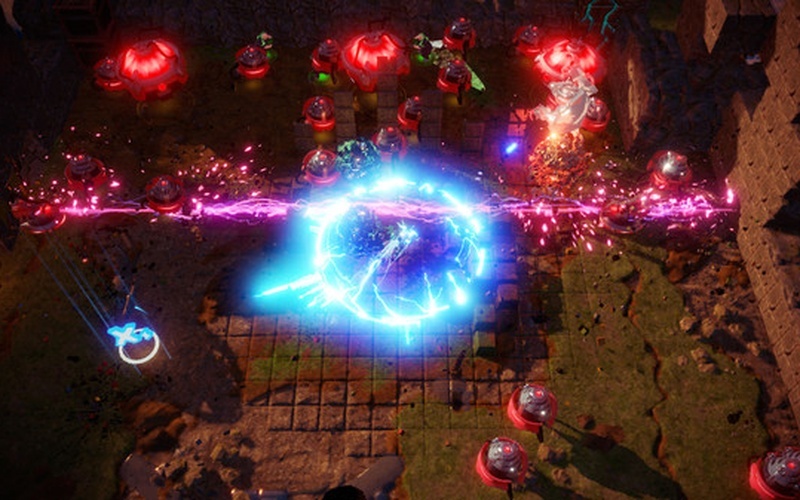 Taking inspiration from classics such as Smash TV and Robotron, Nex Machina brings an experience of pure action, as well as voxel competition and destruction from a future themed around cablepunk. In this world, humans have now become dependent on technology, so much so that they can't seem to look away from the personal devices that have enslaved them. All the while, machines have become self-aware and have managed to surpass human intelligence by a long, long mark. It's now time for the superior race to take over, and prove to the humans that they are no longer top of the food chain. 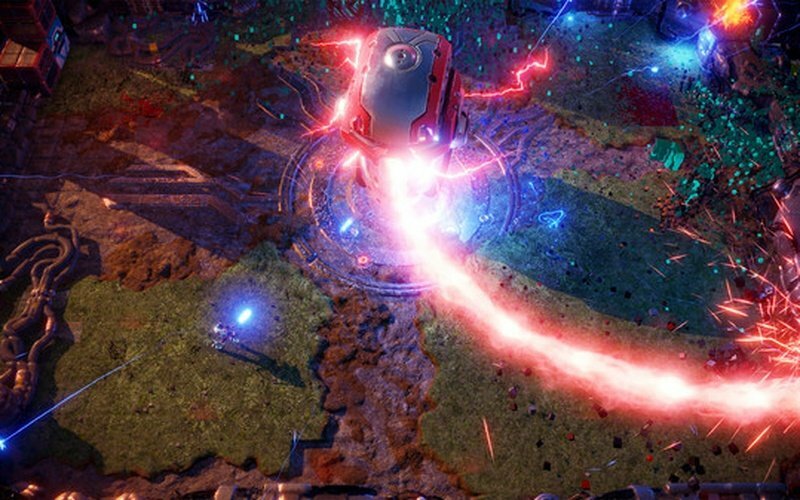 Nex Machina brings explosive twin-stick action, offering an arcade shooter game that is certainly up there with the best in its genre. 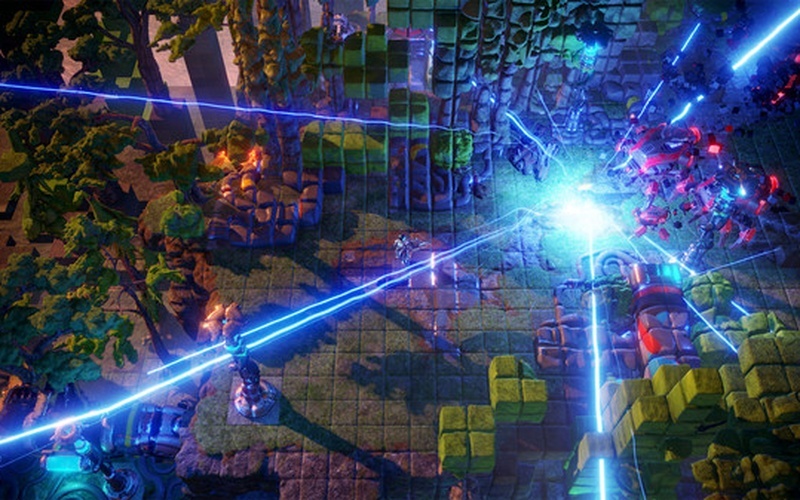 Players will head to over 100 challenging levels across six different worlds, where they will come across a number of levels, challenges, secret paths, and of course, humans. It certainly has a lot going for it in terms of how you approach the game and ultimately what you want to get out of it. 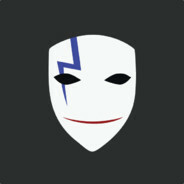 With local co-op play, a rich scoring system, achievements, as well as both community and friend leaderboards, unlockables and player profiles for you to contend with. The tech behind the game is impressive too, with next gen signed distance field for ray-tracing and morphing, as well as being run on a well reworked version of the Housemarque engine.